Negotiations are underway to return to Llanbedr for an expedition during to week 23rd to 30th March. This is an opportunity to fly over Snowdonia from an enormous airfield. 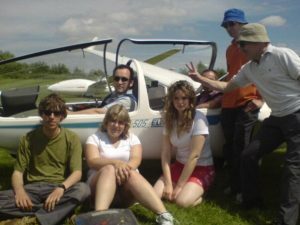 If you are interested in bringing a glider along, or flying in a club 2 seater please email mail@mikegreenwood.co.uk to express an interest. We will get back to interested parties once we have an idea how many people want to go and how much Llanbedr will charge us. The annual mountain flying expedition to the Pyrenees. Clive Crocker is the contact if you are interested. Another annual pilgrimage in search of the wave – Milfield usually obliges. Contact the office if you are interested in participating.